The power dynamics at Litchfield shift dramatically as the inmates react to tragedy in the explosive fifth season of “Orange Is the New Black” arriving on Blu-ray (plus Digital), DVD, and Digital June 12 from Lionsgate. The “Orange Is the New Black”: Season Five Blu-ray and DVD include a hilarious, never-before-seen gag reel; a “72 Hours in 6 Months: Stories of the Season” featurette, and audio commentaries. Also available is “Orange Is the New Black”: Seasons One - Four, available on DVD June 12 for the suggested retail price of $49.98. ORANGE IS THE NEW BLACK: SEASON 5 - On Blu-ray and DVD June 12! The Year of Spectacular Men is very much a family affair, with Lea Thompson directing her real life two daughters Zoey and Madelyn Deutch, and their father Howard Deutch producing. I had the pleasure of attending the New York premiere at the new Landmark Theater with the cast & crew in attendance. I was invited as media to the screening and after party. Any personal views expressed are always 100% my own. 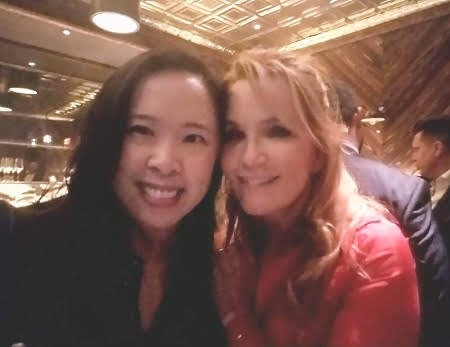 After the screening, I joined in the after party at Legacy Records and got to meet with Lea Thompson, who I personally have loved since Back to the Future! "I cut my teeth in the early eighties, during the John Hughes era, so I've always been fascinated by the dance of young single people. These were stories John, my husband (Howard Deutch) and many other directors and writers explored tirelessly during that time, but there are so few takes on the girl's perspective. Plus I always knew Madelyn could write, she hasn’t stopped since about seven years old, and she's always made me laugh so I inspired her to take a crack at a feature script." 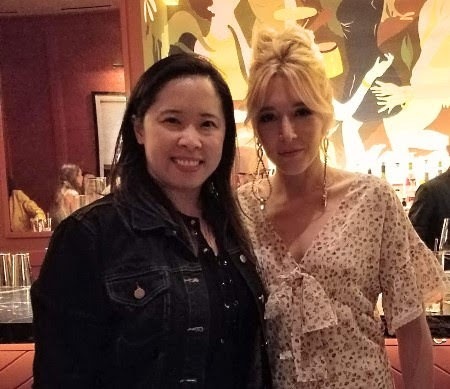 I also met the lovely star and screenwriter Madelyn Deutch, who also indicated she loved being part of a movie with their family. "We both agreed, young women are a group that's embarrassingly under-served. Aside from a few choice shows, I couldn't believe how alone I felt when scrolling through a platform, or changing the channel. And it's not because I am picky, it's because our voices aren't exactly being given a megaphone. We wanted to challenge that, even if it was just with our own little movie-that-could." Deutch describes the seed from which the film grew. "Most generations seem to agree that your early twenties are a brutally transient time, where you have all this self doubt and you are asking all the big questions, but I think being a millennial in your early twenties can be triply complex. We're (often) this very privileged generation of kids with piles of opportunity and a blank canvas to paint the life you want but we're paralyzed by an enormous pressure to "make a difference" and stand out in a world that is extremely loud, incredibly fast, and undeniably globalized. I feel like people are hungry for something a little more intimate, vulnerable, and handmade. And independent filmmaking often feels like the last man standing in that regard." This likable indie rom-com chick flick for the millennial crowd goes through a year in the life of Izzy (Madelyn Deutch), a recent grad looking for some meaning and purpose, meandering through life and living off her sister while often making typical bad decisions with guys. Her aimlessness is in sharp contrast to her movie star/model younger sister Sabrina (Zoey Deutch) who seems to have it together with a steady relationship and successful career. There are some great snark lines and hilarious scenes often involving Izzy and the guy du jour that often reminds me of Tinder date stories gone wrong, but also some heartfelt family moments, no doubt due to the fantastic sibling chemistry that shines on screen. 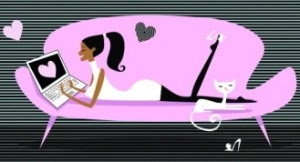 Izzy Klein has (barely) graduated from college, broken up (sorta) with her boyfriend, and is stranded in New York City with a bad case of pre-real-world millennial-itis. Unsure of what the next step is, her movie star little sister Sabrina convinces her to move back home to Los Angeles and into her shared apartment with movie star boyfriend Sebastian, where they can keep an eye on rudderless Izzy. Emotionally unable to deal with the loss of her father, and slightly distracted by her mother Deb's newfound love affair with loopy yogi Amythyst, Izzy funnels her energy into dating a colorful bouquet of five complicated and spectacular men: Aaron, Ross, Logan, Mikey, and Charlie, over the course of the next year. Coping just barely with the help of her trusty notebook, she falls in and out of some not so romantic romances, and figures out that when it totally feels like the end of your story, it's often just the beginning. Joan Castleman (Glenn Close) is a highly intelligent and still-striking beauty - the perfect devoted wife. Forty years spent sacrificing her own talent, dreams and ambitions to fan the flames of her charismatic husband Joe (Jonathan Pryce) and his skyrocketing literary career. Ignoring his infidelities and excuses because of his "art" with grace and humor. Their fateful pact has built a marriage upon uneven compromises and Joan's reached her breaking point. On the eve of Joe's Nobel Prize for Literature, the crown jewel in a spectacular body of work, Joan's coup de grace is to confront the biggest sacrifice of her life and secret of his career. Director John Krasinski’s film A QUIET PLACE is a taut and original thriller that follows a family who must navigate their lives in silence to avoid mysterious creatures that hunt by sound. The film debuts on Digital June 26, 2018 and on 4K Ultra HD Combo Pack, Blu-ray Combo Pack and DVD July 10 from Paramount Home Media Distribution. The 4K Ultra HD and Blu-ray Combo Packs take viewers deeper into A QUIET PLACE with behind-the-scenes footage exploring the exceptionally unique sound design, the riveting visual effects, and how the cast and crew created the movie’s distinctive atmosphere both on set and on film. Knowing that even the slightest whisper or footstep can bring death, Evelyn (Emily Blunt) and Lee (John Krasinski) are determined to find a way to protect their children at all costs while they desperately search for a way to fight back. Renee’s life is changed forever when she accidentally slips and falls in the laugh-out-loud comedy, I FEEL PRETTY, arriving on Digital on July 3, 2018 and on Blu-ray, DVD and On Demand on July 17, 2018 from STXfilms and Universal Pictures Home Entertainment. Staring Academy-Award® nominee Michelle Williams (Manchester By The Sea, The Greatest Showman), Rory Scovel (The House, “Those Who Can’t”), Busy Philipps (“Cougar Town,” He’s Just Not That Into You), Aidy Bryant (“Saturday Night Live,” “Girls”), Emily Ratajkowski (Gone Girl, We Are Your Friends), Naomi Campbell (Zoolander 2, “Empire”), Tom Hopper (“Game of Thrones,” “Black Sails”), Sasheer Zamata (“Saturday Night Live,” Sleight) and Lauren Hutton (“Nip/Tuck,” Once Bitten). Do you enjoy action movies with a military storyline? Then learn more about “12 Strong” which is set in the harrowing days following 9/11 when an elite U.S. Special Forces unit, led by their Captain, Mitch Nelson (Hemsworth), is chosen to be the first U.S. soldiers sent into Afghanistan for an extremely dangerous mission in response to the attacks. Leaving their families behind, the team is dropped into the remote, rugged landscape of northern Afghanistan, where they must convince General Rashid Dostum (Navid Negahban) to join forces with them to fight their common adversary: the Taliban and their Al Qaeda allies. Entries must be made on or before 11:59 p.m. June 7, 2018.